The Premier League weekend culminates in a Merseyside derby - can Everton damage Liverpool's title prospects? Michael Cox and Alan Thompson preview the action from Goodison Park. "Liverpool’s 5-0 win over Watford was notable for the fact all five goals were assisted by the full-backs"
Everton are out of the FA Cup and sit in ninth place in the Premier League table - so it's safe to assume they have nothing to play for this season. Apart from, of course, the fact they could seriously dent their rivals' title hopes with a victory here. But Everton's Merseyside record is absolutely abysmal in recent years - they haven't won any of the last 18, stretching back to 2010. In the reverse fixture, they competed well throughout the game but were defeated by Divock Origi's bizarre late winner, and will be determined to gain revenge here. After three defeats on the bounce, the Toffees picked up a much-needed victory away at Cardiff in midweek, with Gylfi Sigurdsson scoring twice. Marco Silva will be reluctant to make too many changes from that successful formula. Jordan Pickford will be in goal, behind a back four likely to see Kurt Zouma returning from suspension to play alongside Michael Keane - Phil Jagielka looked somewhat off the pace in midweek. Everton have serious quality from full-back, with Lucas Digne one of the best left-backs in the division this season, and Seamus Coleman getting back towards his pre-injury form - he assisted Sigurdsson's opener against Cardiff. In midfield, Andre Gomes will hope to return in place of Morgan Schneiderlin alongside Idrissa Gueye, another who picked up an impressive assist on Tuesday night. There's a chance Silva will look to bolster his central midfield zone by using three conventional midfielders, but this remains an alternative system. Besides, Silva won't want to move Sigurdsson from his number 10 position after his midweek double. Theo Walcott and Richarlison are first-choices out wide, but there's a good chance Bernard will come into the side after some impressive work in midweek from the bench. This could mean one of the starting wingers dropping out, although Richarlison could be shifted upfront. Dominic Calvert-Lewin scored a breakaway stoppage time goal against Cardiff, however, so might retain his place. Jurgen Klopp also has a question mark upfront, with Roberto Firmino likely to return. However, after he missed the 5-0 thrashing of Watford with injury, there's no guarantee he'll be fit to start, which would pose a problem - would Klopp continue with Origi, who scored in midweek and grabbed the winner in the reverse fixture, or move Mohamed Salah into a central position? It seems more likely Salah will play from the right, however, where he'll exploit any space left by Digne's overlapping runs. The real star in recent weeks, however, has been Sadio Mane. 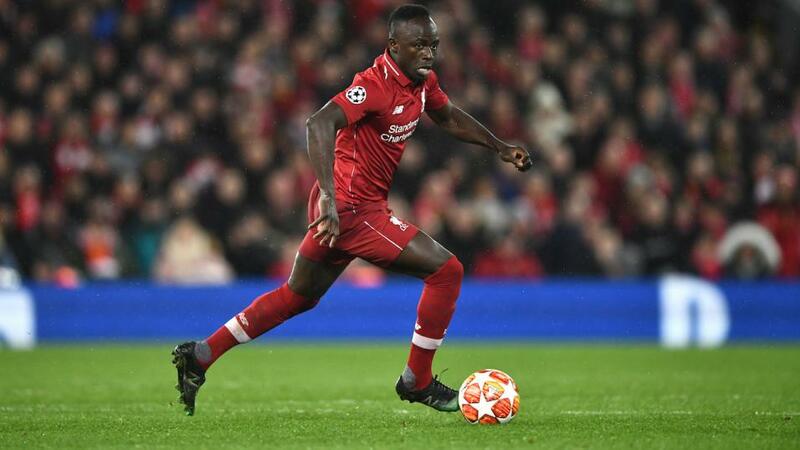 Although poor against Manchester United, Mane has a habit of scoring openers and notched a truly superb backheeled effort against Watford, his second of the game. His runs in behind the opposition defence could be crucial here. There's a chance Klopp could turn to Xherdan Shaqiri if Firmino is still out - or in a 4-2-3-1 - but he's been keener to use 4-3-3 in recent weeks. Fabinho is in good form, Georginio Wijnaldum offers energy and Jordan Henderson might be suited to a midfield scrap here. Naby Keita and James Milner are other options. Liverpool's 5-0 win over Watford was notable for the fact all five goals were assisted by the full-backs - two for Andrew Robertson, and three for the outstanding Trent Alexander-Arnold, whose Beckham-esque deliveries caused problems all night. They'll push forward again here, and the defensive discipline of Everton's wingers will be severely tested. Joel Matip has played well alongside Virgil van Dijk recently - Liverpool have kept three clean sheets in a row. Alisson continues to play out from the back, although you can be sure Everton will pressure him in the opening stages. I fancy Liverpool here, and therefore I'm going to back Sadio Mane to open the scoring. He starts matches excellently, and his movement in behind the defence consistently causes problems. With Everton pushing their full-backs on, both he and Salah should offer a serious goalscoring threat. Salah starts as favourite, but at around [6.0], Mane would represent better value to open the scoring. After successive goalless draws, the Premier League leaders were back to their best on Wednesday evening after they swept aside Watford, the 5-0 scoreline giving them their biggest win of the season. A brace for Sadio Mane and Virgil van Dijk, as well as an Divock Origi goal, was just the result they wanted before they face a tough game at Goodison Park. Everton themselves got a much needed midweek win at Cardiff where 3-0 winners, that was on the back of three successive defeats, two of which were at home against Man City and Wolves. Often when you see Liverpool’s name in the fixture you think of backing goals but this derby often doesn't deliver them. The last four meetings between the sides has only produced three goals, including two goalless encounters. While Liverpool’s hammering of Watford on Wednesday is a reminder of their attacking power it has also helped to push the Over 2.5 goals into favouritism, trading just odds on [1.95]. I will be on the other side of that backing Under 2.5 goals at [2.05]. Everton have been drawing 0-0 at half time on 12 occasions this season and away from home, Liverpool have gone in with the same scoreline on five of their last nine away days. This could be another tense game for Liverpool and it may take some time to break down Everton so I will also be taking a chance on backing 0-0 at half time at 2/1 on Betfair Sportsbook.